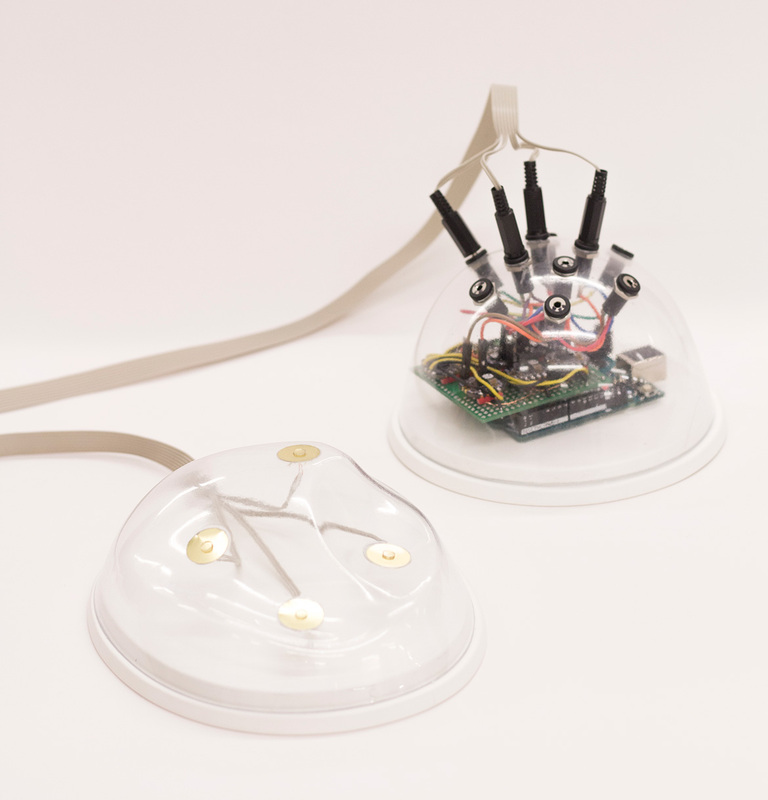 Vito is a device that turns the user’s hand into a new channel for receiving information. Information is sent through haptic signals which are generated using a series of vibrating piezo transducers mounted in the palm of the hand. These signals are defined by waveforms which are designed to be distinguishable yet sequential and build on one another. 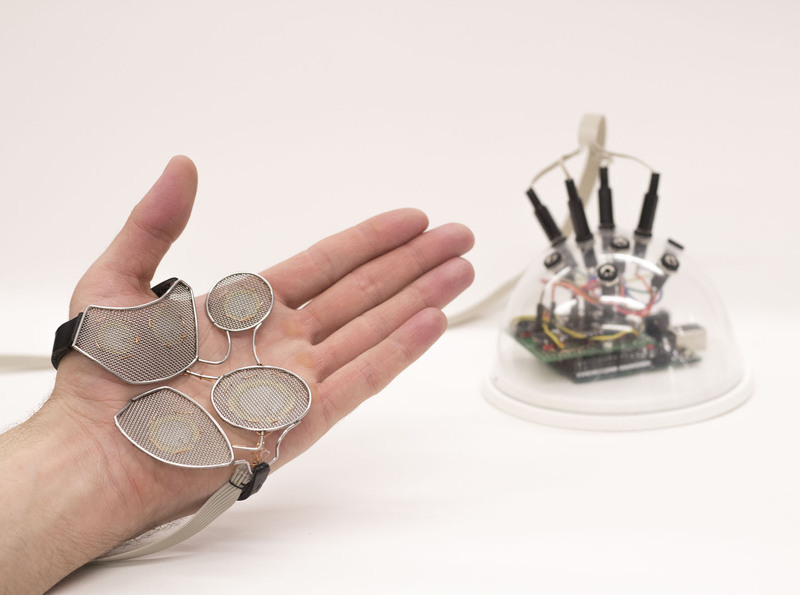 By sending these signals to individual transducers or synchronising a series of signals over multiple transducers, rich, fast and easy to decipher vibrotactile vocabularies can be built. This technology has application where visual and audible channels are overloaded or unavailable. In surgery, Vito would be used to guide the surgeon during delicate operations where previously a screen would have been required. In security, Vito can enable the silent communication and synchronisation of teams. For those with visual impairments, Vito enables the use of a mouse with a graphical interface. The future challenge lies in designing scenario-specific signals that enable fast and intuitive learning. More information about the technology used in this project can be found in this Instructable I wrote.